How does this challenge the consensus, Emiliania huxleyi is just one species. To say that somethings are going to adapt to new conditions is not challenging the consensus. Have you heard about some exciting investment opportunities in Greek government bonds? Wow, over 1000 now? Sounds like a lot until you look at the context, which is the number of papers supporting the consensus. This is especially true when you remove the papers from the list which do not support as is indicated. 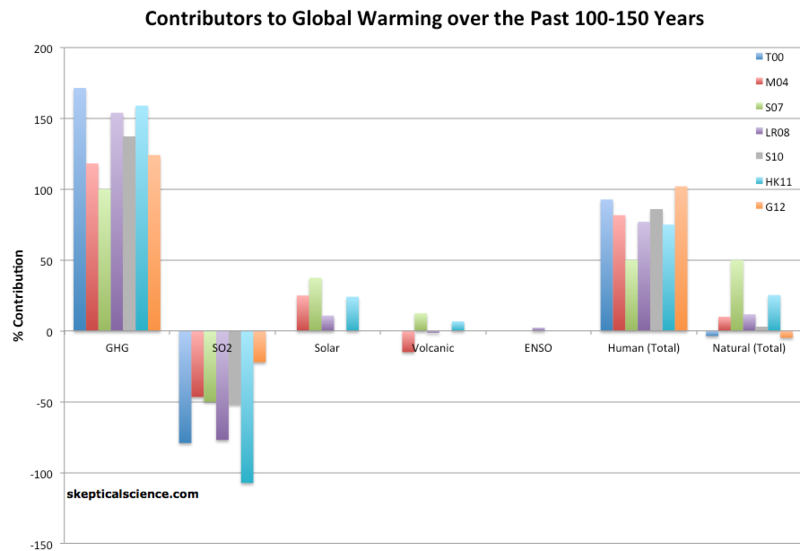 Such as a random temperature spike identified somewhere from 1000 AD to 1500 AD being the MWP, regardless of duration. I am reminded of the evidense of the 30000 signatures "supporting" the skeptical view in the Oregon Petition being evidence of the size of the oppostion to the consensus. It too sounds impressive until you look at the number of graduates just in the US which meet their criteria each year. Neither case even approaches the 3% opposition stated in the research or polls, so that actually makes this view appear even weaker. ^.......Better response ..... ^ ........ I agree. May last post was in response to this quote. This notion seems to indicate there is no "science" to the skeptical view. There is. You also mentioned the OISM Petition. Here is the break down of that petition. The current list of 31,072 petition signers includes 9,021 PhD; 6,961 MS; 2,240 MD and DVM; and 12,850 BS or equivalent academic degrees. Most of the MD and DVM signers also have underlying degrees in basic science. 1. Atmospheric, environmental, and Earth sciences includes 3,697 scientists trained in specialties directly related to the physical environment of the Earth and the past and current phenomena that affect that environment. 2. Computer and mathematical sciences includes 903 scientists trained in computer and mathematical methods. 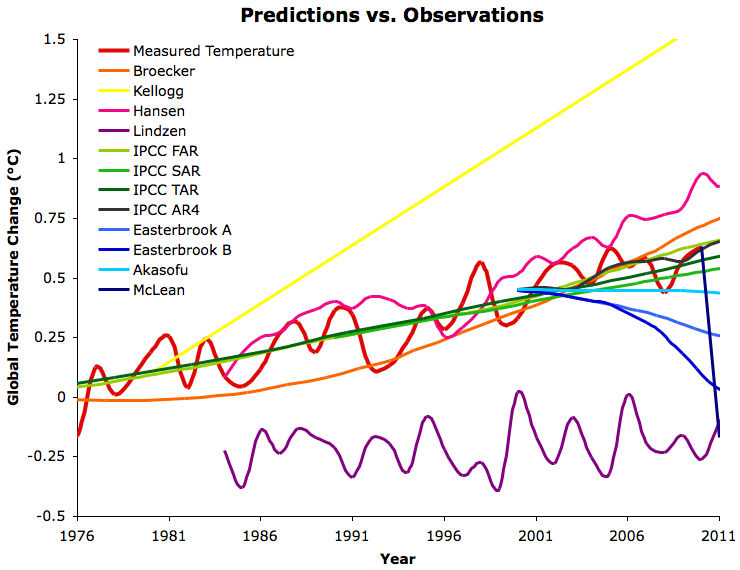 Since the human-caused global warming hypothesis rests entirely upon mathematical computer projections and not upon experimental observations, these sciences are especially important in evaluating this hypothesis. 3. Physics and aerospace sciences include 5,691 scientists trained in the fundamental physical and molecular properties of gases, liquids, and solids, which are essential to understanding the physical properties of the atmosphere and Earth. 4. Chemistry includes 4,796 scientists trained in the molecular interactions and behaviors of the substances of which the atmosphere and Earth are composed. 5. Biology and agriculture includes 2,924 scientists trained in the functional and environmental requirements of living things on the Earth. 6. Medicine includes 3,069 scientists trained in the functional and environmental requirements of human beings on the Earth. 7. Engineering and general science includes 9,992 scientists trained primarily in the many engineering specialties required to maintain modern civilization and the prosperity required for all human actions, including environmental programs. Hey, banana potato head, Wayne blew your stinking garbage to hell! It really pisses me off that nothing has been done to stop going past the tundra methane self release tipping point since 1997, because of jerk skeptics. People who can't even feel it happening over the years, or foresee what it will do to future generations. "First, let's look at the Oregon Petition. They define "scientist" as anyone with a BS degree or better. They state, "This includes primarily those with BS, MS, or PhD degrees in science, engineering, or related disciplines." Thus, 31,000 is their numerator. Numerator, meet The Denominator! What we are left with is about 850,000 peer reviewed papers on climate change for the 850 peer reviewed papers that PopTech presents. That leaves our friend with 0.1% of peer reviewed papers that challenge AGW alarm, as defined by him." You can read can't you, or are you a fruit or vegetable? May last post was in response to this quote. This notion seems to indicate there is no "science" to the skeptical view. There is no scientific evidence in support of the denier view, thus there is no real science attached. The skeptic view usually has some connection to science because they do not disputr some of the basic science facts. Not really, as was noted one of the references picked at random indicated a speices already attempting to adapt, which does not support the skeptical view of human related climate change at all. That is the attempt to make it appear there is science where there is none. You also mentioned the OISM Petition. Here is the break down of that petition. That is the claimed break down, but we all know or should know that there was no confirmation in the first round of signatures and no independently confirmed confirmation on the second round. Both rounds were intermingled so the entire petition is still suspect from the problems of fake signatures documented in the first round. We have the claim of education without evidence to back it up. The attempts to indepnedently confirm names and signatures have meet with poor results for the petition. Evidence from mountain glaciers does suggest increased glaciation in a number of widely spread regions outside Europe prior to the 20th century, including Alaska, New Zealand and Patagonia. However, the timing of maximum glacial advances in these regions differs considerably, suggesting that they may represent largely independent regional climate changes, not a globally-synchronous increased glaciation. Thus current evidence does not support globally synchronous periods of anomalous cold or warmth over this time frame, and the conventional terms of "Little Ice Age" and "Medieval Warm Period" appear to have limited utility in describing trends in hemispheric or global mean temperature changes in past centuries... [Viewed] hemispherically, the "Little Ice Age" can only be considered as a modest cooling of the Northern Hemisphere during this period of less than 1°C relative to late 20th century levels. 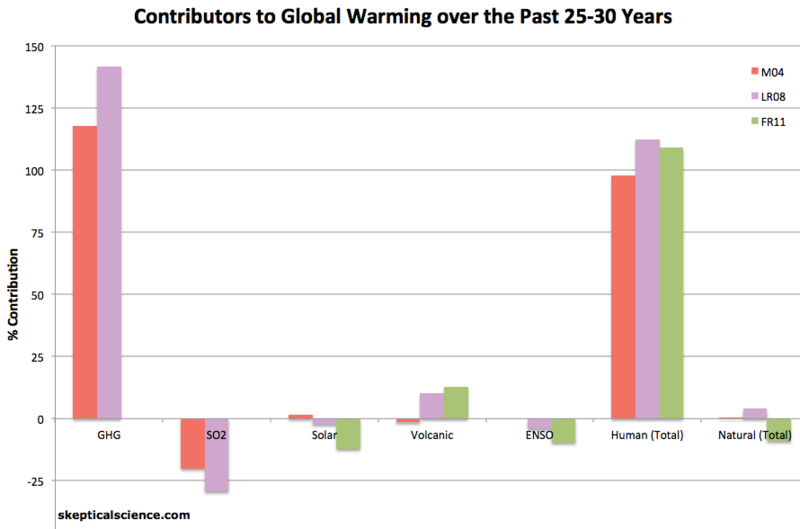 Figure 4: Percent contributions of various effects to the observed global surface warming over the past 25-30 years according to Meehl et al. 2004 (M04, red), Lean and Rind 2008 (LR08, purple), and Foster and Rahmstorf 2011 (FR11, green). Does anyone not see this as acceleration? The teperature record definitely showing accelertion. However, Svante Björck, a climate researcher at Lund University in Sweden, has now shown that global warming, i.e. simultaneous warming events in the northern and southern hemispheres, have not occurred in the past 20,000 years, which is as far back as it is possible to analyse with sufficient precision to compare with modern developments. Svante Björck’s study thus goes 14,000 years further back in time than previous studies have done. “What is happening today is unique from a historical geological perspective,” he says. Our warming even exceeds the speed of the PTEM period. The recent warming we have gone through is much faster than the PETM. Pick whatever you want from the link below. [color=#408000]This allows the stout denier to completely disregard the model. From the previous post you would ask the quesiton, what is the valid information that we can gain from the model. 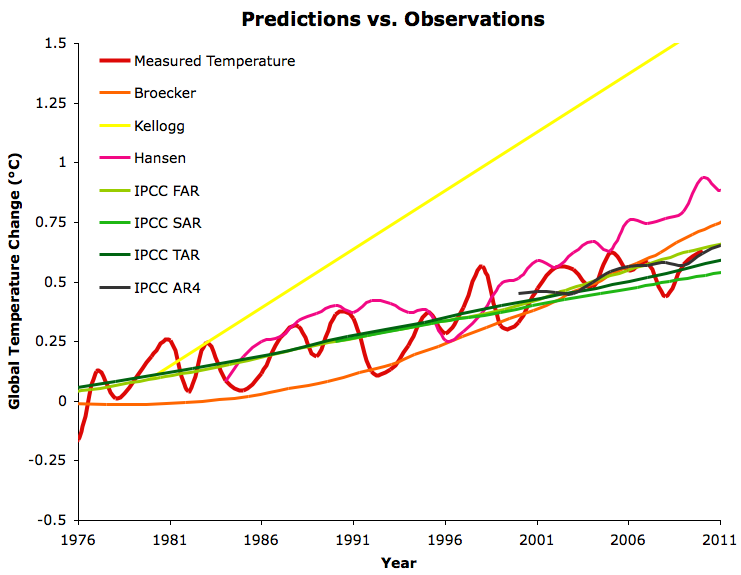 The person who is determined that AGW is wrong won't even pay attention to emperical evidence. The observations of the trend of increased water vapor are plugged into the models to see what caused the increase of water vapor in the atmosphere. They were able to narrow it down to human caused from emissions of co2. This is clearly one of the fingerprints of climate change. Abscense or prescense of a hot spot is not relevant to the existence or nonexistence of climate change.